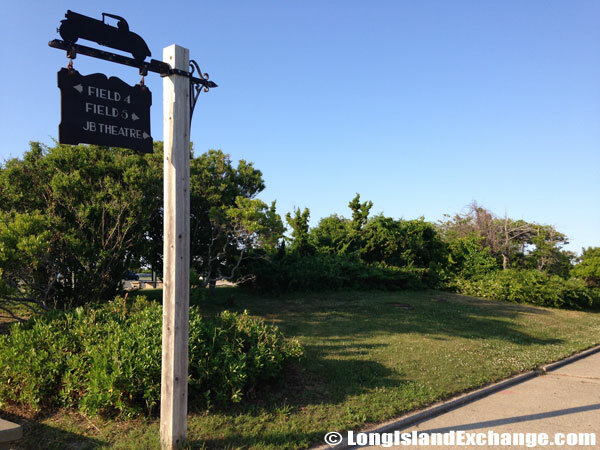 Directions: Jones Beach State Park is located in the southern portion of Nassau County, in the hamlet of Wantagh, Long Island. It is 33 miles from Manhattan via Meadowbrook Parkway South and Wantagh Parkway south to the Park. Fees and Rates: For parking fees and entrance rates click here. 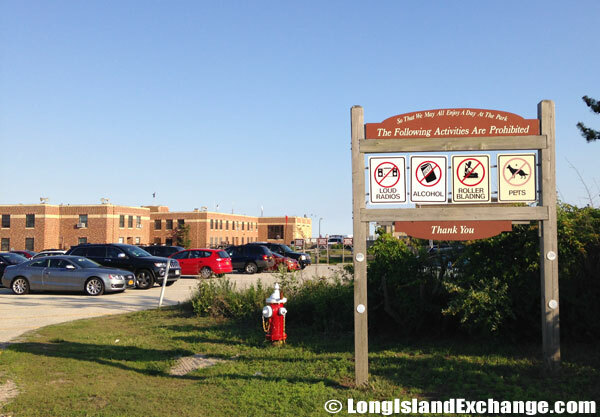 A sign welcomes visitors to Jones Beach State Park, one of the most popular and most visited beaches on Long Island. 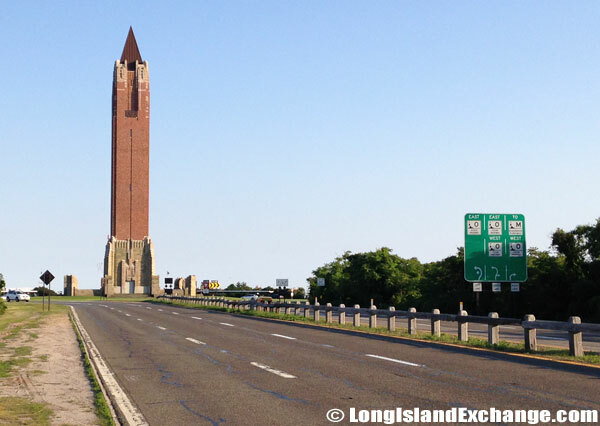 The Jones Beach Water Tower inside the circle at the end of the Wantagh Parkway south. 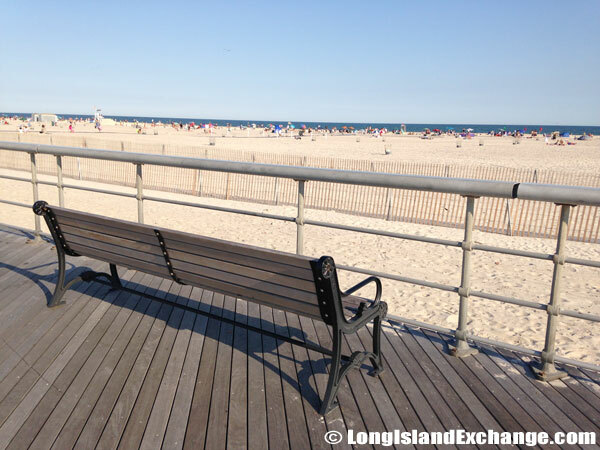 A bench along the boardwalk at Jones Beach where visitors near field 1 can take it all in. 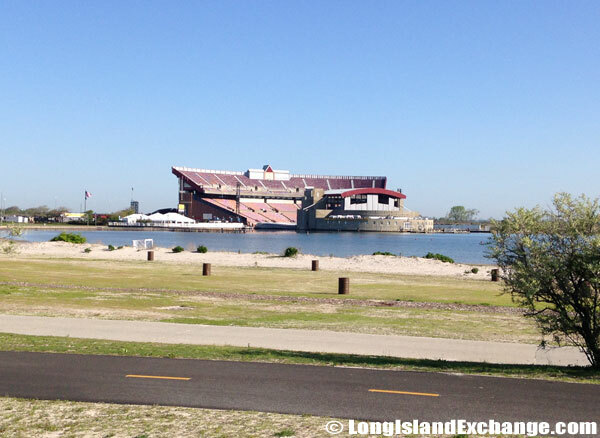 Via Public Transportation: From Manhattan: LIRR to Freeport, then buses to Jones Beach. Call 718-217-5477 Bus from Freeport: The information # for patrons is 516-228-4000 and its option #2. The bus will start on May 24th. The bus route/# is JB62 out of Freeport. From Queens and Nassau: MTA Long Island Bus. Call 516-228-4000 Via Auto: From Westchester, Manhattan, Bronx, Brooklyn, Queens: LIE East or Grand Central Parkway East to Northern State Parkway East to Wantagh Parkway South to Jones Beach State Park or Belt/Southern State Parkway East to Wantagh Parkway South to State Park. 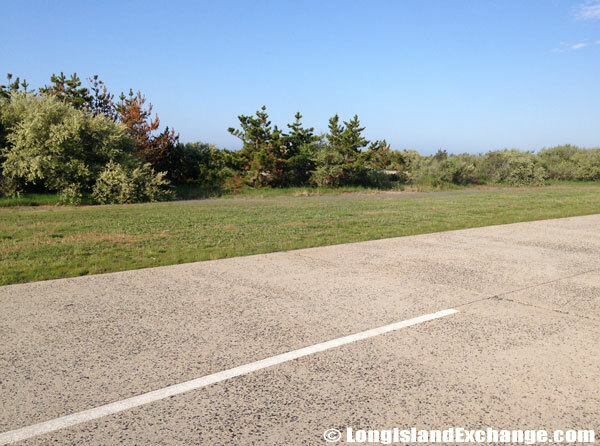 From Eastern Long Island: Northern State Parkway West or Southern State Parkway West to Wantagh Parkway South to State Park. 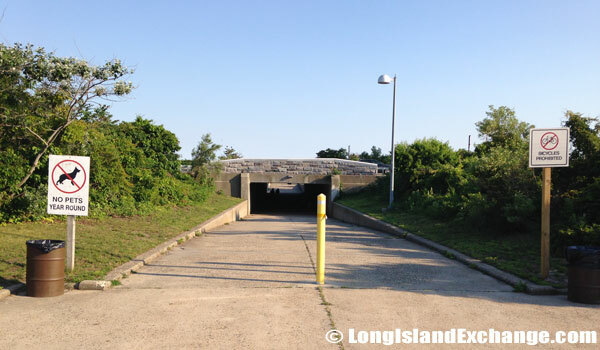 An under-path from the Jones Beach Theater parking field to the beaches. 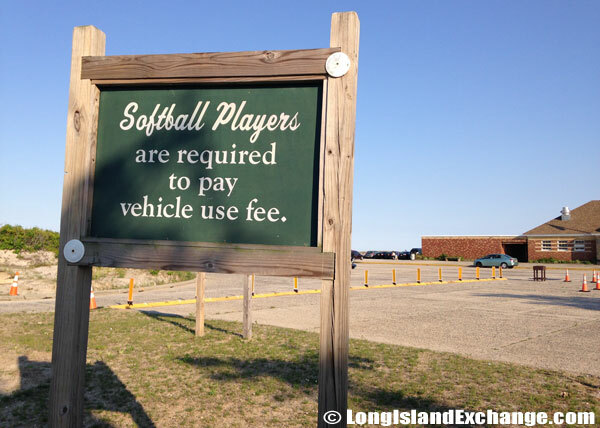 A sign lets softball players know that parking fees apply to all. Overview: Everyone can enjoy the 2,413 acres park which comprises of 6.5 miles of ocean beach frontage and a half mile of bay frontage developed for still water bathing. 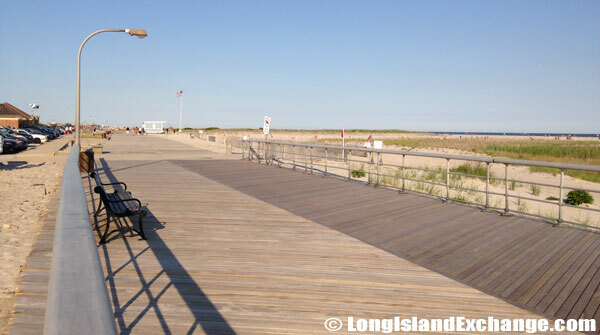 It is popular for its excellent beaches with 10 km in length facing to the Atlantic Ocean and furnishes one of the most popular summer recreational locations in the New York City area. Jones Beach State Park is also the most popular and heavily visited beach on the East Coast with an estimation of over eight million people visiting the beach each year. Parking lot #2, West of the Jones Beach water tower on the south side near the ocean. A gaze down the boardwalk at Jones Beach. The East Softball field is on the left once you enter Parking Lot #2. Looking towards the Nikon at Jones Beach Theater from Ocean Parkway. 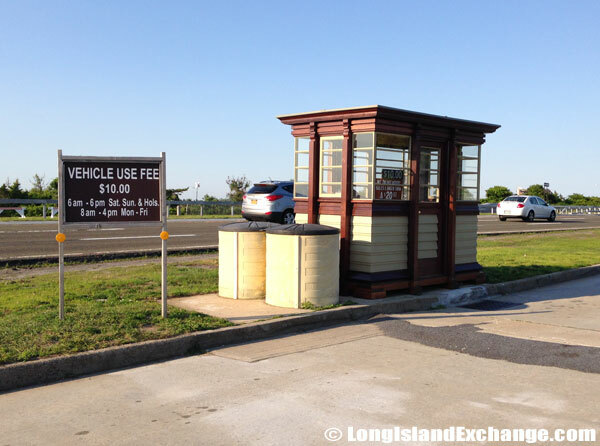 The vehicle use fee at Jones Beach is $10.00 and is collected 6am – 6pm Saturday, Sunday and Holidays. 8am – 4pm Monday through Friday. 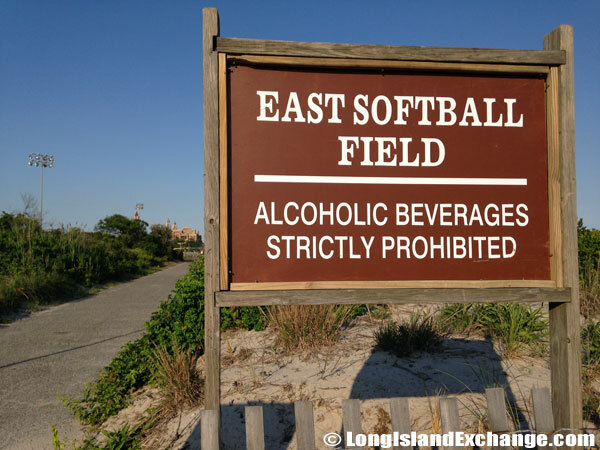 Loud radios, alcohol, roller blading and pets are all prohibited at Jones Beach. 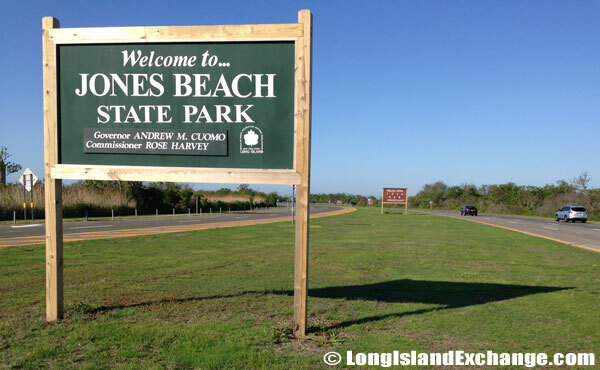 History: On August 4, 1929, Jones Beach State Park was first opened to the public. On that day Governor Franklin D. Roosevelt, Governor Alfred E. Smith, and Commission President Robert Moses were the principal speakers. Its success and popularity were immediately discernible. In 1930, the first full year of operation, a million and a half people visited the park. In July, 1931, the West Bathhouse with swimming and diving pools opened. 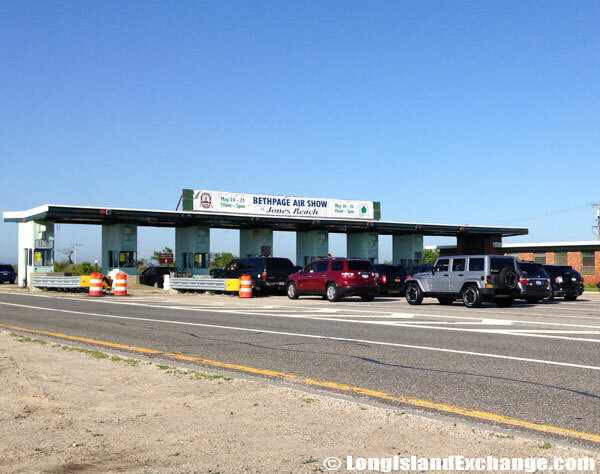 The Wantagh Causeway soon became overcrowded and serious traffic delays occurred every Sunday. 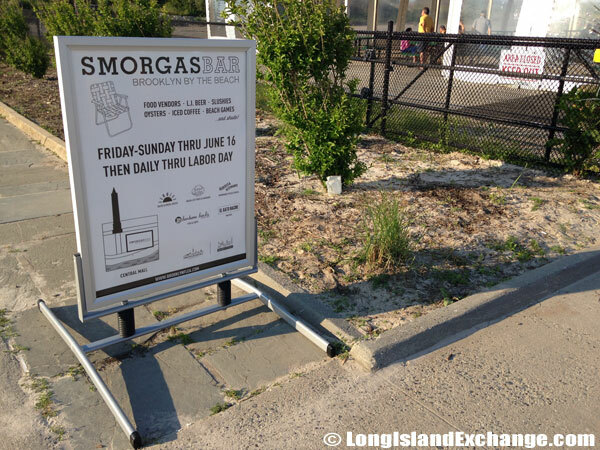 The Smorgasburg food court and beer garden at the main entrance to Jones Beach. Field 4, 5 and the Jones Beach Theater to the right. 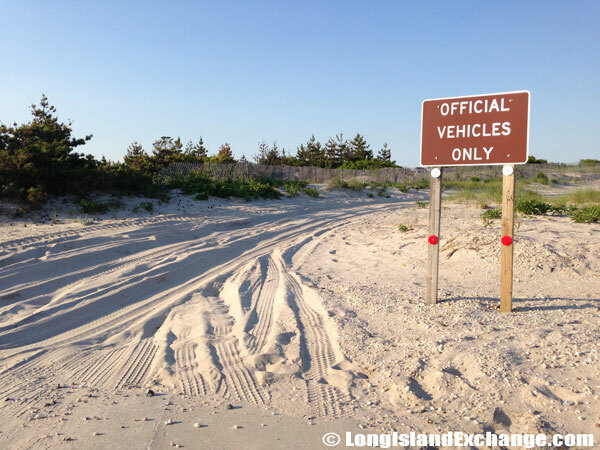 Exceptions to driving in this area for government-owned vehicles on official business. 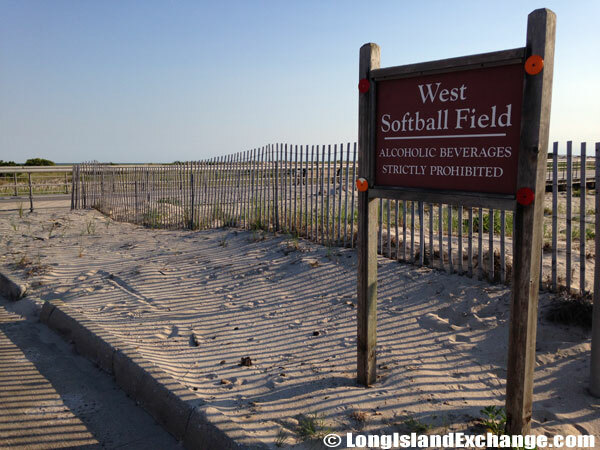 On November 3, 1931, the Town of Hempstead voted to suggest to the State of New York that all of Short Beach, the area between the Park and Jones Inlet, together with a right of way for an additional causeway from the mainland, near Freeport, to the Park. 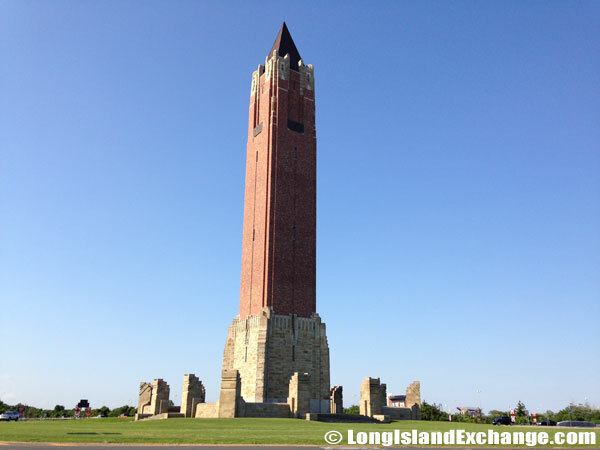 In 1933 Commissioners served on the board of the Jones Beach State Park Authority that built, maintained and operated the causeways to Jones Beach, some park facilities that includes the Jones Beach Theater and the Southern State Parkway in Nassau County. 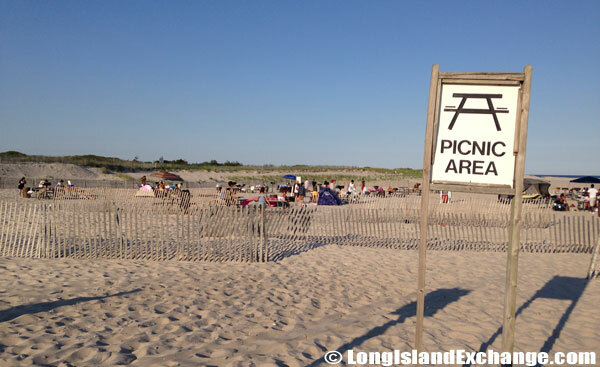 One of several barbecue and picnic areas at Jones Beach State Park. 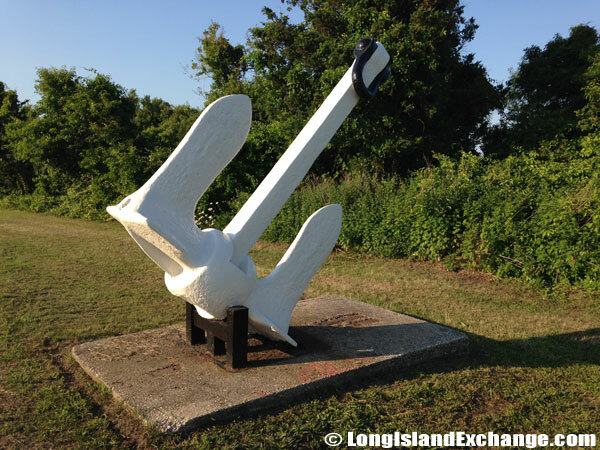 A large white decorative anchor on the northbound side of Wantagh Parkway passed while leaving Jones Beach. Looking back towards the Jones Beach Water Tower in the Ocean Parkway Circle on the northbound side of Wantagh Parkway. Facilities: The Park has multiple concession stands along the boardwalk in season. A few of the larger concessions stay open past the main summer season. 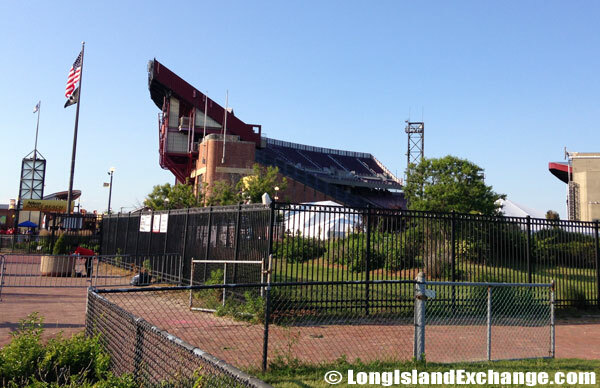 Beach dining and catering facilities no longer exist at Jones Beach. There are also two swimming pools available for public use at Jones Beach; the West Bath House pool is traditionally open all week long, while the East Bath House pool is for weekends only. 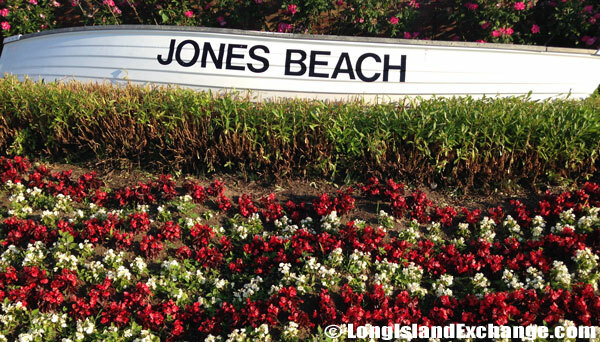 Each year since 2004 Jones Beach attracts over 400,000 people to the Bethpage Air Show for Memorial Day weekend. 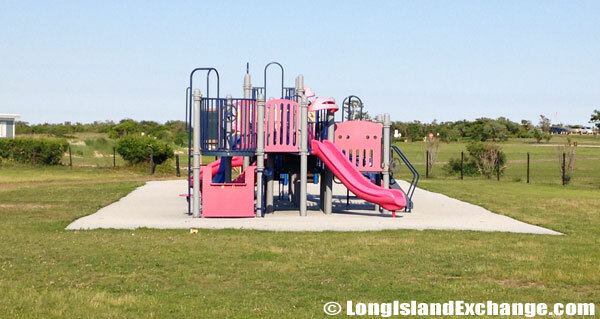 A designated place where children can play on the playground at Jones Beach. A decorative boat near the main boardwalk entrance at the traffic circle. The 2 mile boardwalk is often busy with runners, joggers, and those just looking for a day away from inner city/suburban life. Music along the boardwalk is common, and shows, ice cream, concession stands, ocean and fresh air make it a busy place for New York City and Long Island residents to gather. A typical roadside view while traveling down Ocean Parkway. Pets: Strictly, no pets allowed.